How do you get a horse? Learn how to determine if you should get a horse, how to buy, lease, adopt or get a horse for free. If you want to get a horse, you have to first be sure that you are ready, both financially and time-wise to care for a horse once it's yours. No matter how you go about getting a horse, the horse will require a consistent amount of work and money to care for. There are a few basic pieces of equipment you'll need. Since getting a horse is a large expense in dollars and time, you don't want to make the common mistakes that first-time horse owners often do. The most obvious way to get a horse is to buy one. You can find horses for sale from private owners and dealers. The purchase price of horses varies. Generally, the better trained they are, the more expensive they become. There are many factors that affect the price of horses, so do your research and choose carefully within your budget. 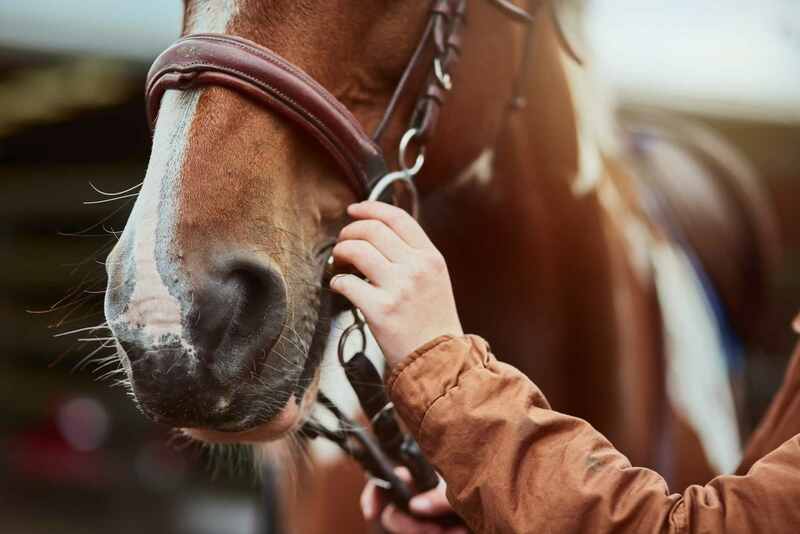 If you are a first-time horse owner, it's probably best to ​avoid buying at an auction and keep in mind the horse world has its share of selling scams. Most horse dealers and owners are honest and want the best for the horse. As in buying anything else, do your research. Keep in mind that no matter what the price is, the responsibility and expense will be the same. Sometimes, people who own older horses are glad to place them in good semi-retirement homes. This can be great for a beginner, who will receive use of a well trained and behaved horse. These older horses may require a bit of extra care but are worth it for what they can teach a beginner rider or driver. Occasionally, you may get a free horse from a rescue organization. If you live near a race track, you might hear of Off-The-Track Thoroughbreds or Standardbreds being given away. These horses are generally unsuitable for beginners. Remember though, that, even if you get a free horse, it will still take the same amount of responsibility, time and expense as a horse bought for $100,000. It is possible to lease the use of a horse. While you lease the horse, it’s usual that you cover all the expenses of its care. Quite often, show horses are leased. Leasing can be a fairly costly option, although it may allow you to ride a horse you wouldn’t otherwise be able to afford. You’ll probably be expected to agree to a detailed contract that outlines what is expected of both the owner and you. Part-boarding is an option at many boarding stables. The owner shares the use of the horse for a set fee per month. 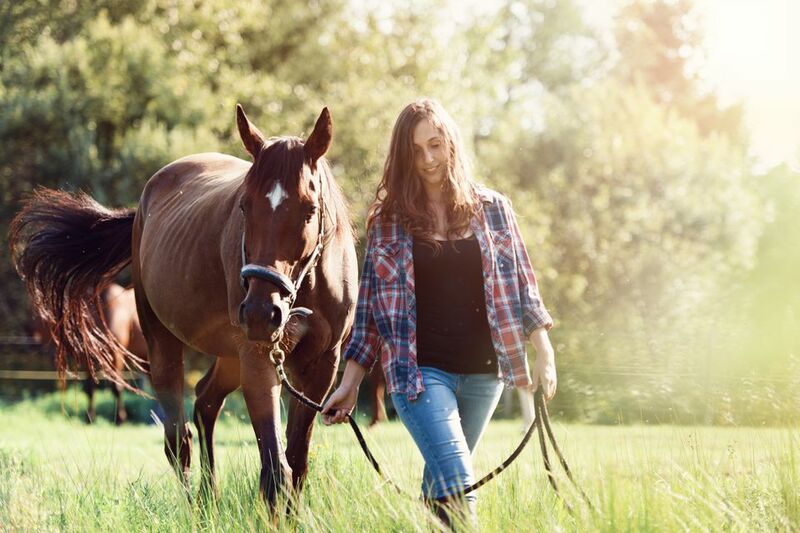 Part-boarding contracts vary but be sure that you and the horse owner are clear as to how much you may use the horse, and what other responsibilities and expenses you can expect. For those of you who are young and still living at home, convincing your parents might be the first step in getting a horse. To convince your parents to get you a horse be prepared to prove you are responsible ​for studying hard, doing your chores and being smart with your money. Alternatively, if you are a parent you may be wondering, is your child ready for a horse and what type of horse or pony should you buy? Right now, horse rescue organizations are filled with horses their owners had to give up for one reason or another. Many horses end up in horse rescues because of behavioral, health or soundness problems or their owners have run into financial problems. Most often there is a small fee of a few hundred dollars and a contract you must sign. You may have to agree to return the horse to the rescue within a certain time frame if you can't keep it. Rescues are usually very careful in matching up horses to humans that can cope with their needs. Ex-racehorses like Thoroughbreds, Standardbreds and wild horses can be adopted, but are often unsuitable for beginners as they have had relatively little training as a riding horse.